Can electric current delivered to the brain by way of a special pod actually help you relax? That's what the makers of a new device promise. 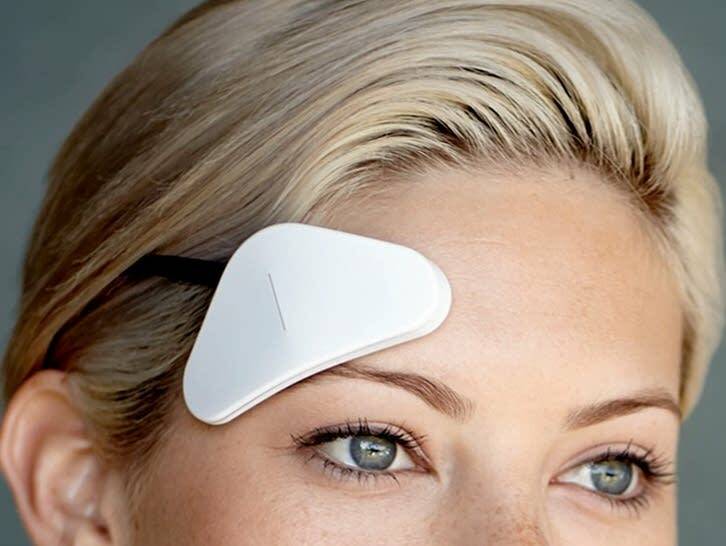 For $149, Thync will sell you a pod that you attach to your head with a "calm strip." It syncs to an app on your phone (that'll be an additional $29 a month for a six-month plan) that you use to dial up your desired mental state: energized or calmed. Specifically, you can set the device for "welcome calm," "zen," "sleep," "good night," or even "bliss" ("relaxation with a dose of intoxication"). "The fundamental mechanism of action centers on modulating cranial and spinal nerve pathways using a combination of targeted electrode placement and proprietary transdermal electrical neuromodulation waveforms," says the company. Okay. "Developing these algorithms involved years of research and testing over 1,000 waveform iterations." Does it work? Thync says 100% yes. "Relaxation programs result in a 60% reduction in stress and a 30% reduction in anxiety vs. placebo using the clinical Depression Anxiety Stress Scale." Consumer reviews, however, have been mixed. "If you turn it up too high, says vlogger ThioJoe, "it feels like someone is crushing your skull. So, there's that." Another user tried to test the device by putting it on a couple of friends and asking them to guess whether they were being calmed or stimulated. Two of three guessed incorrectly. "I feel relaxed, almost like I'm getting a head massage," said a woman who was wearing a device set to "energize." "Our mission at Thync is to 'unlimit' people," says the company's CEO in a press release. "Thync brings together innovations in neuroscience and engineering so you can access your own abilities." Whether you're wearing an electric pod or chancing it bareheaded, YourClassical's Relax stream is always available with a steady stream of calming classical music.